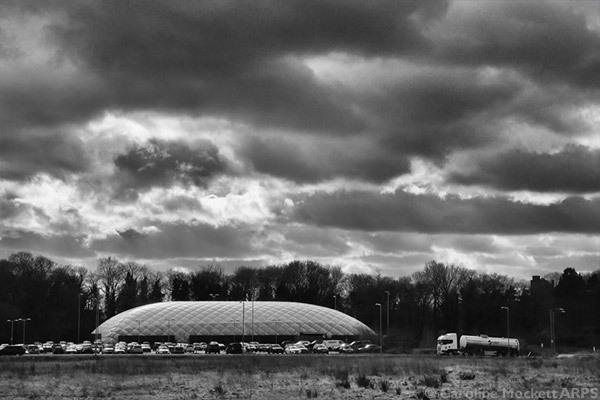 Notes: I had to run an errand in Colchester today, and parked overlooking this bizarre structure. Nor sure what is is, but it looked like a big alien pod had landed. The dramatic clouds suited mono.